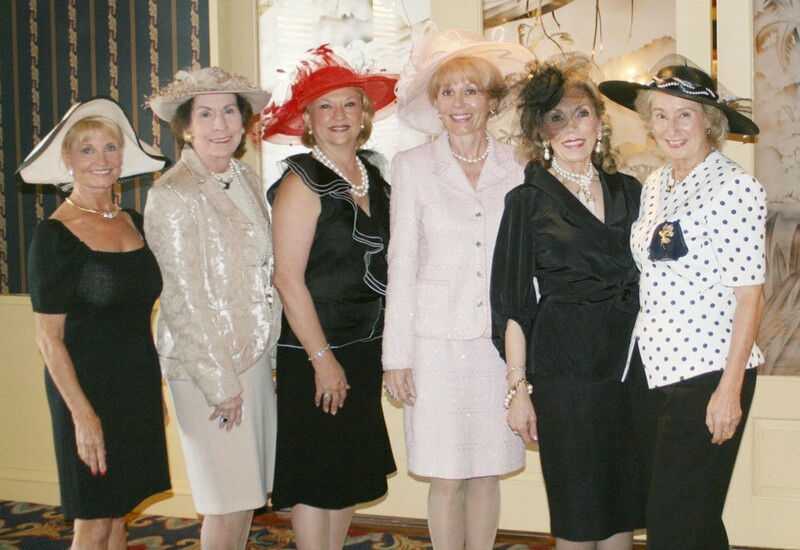 On March 23rd, about 40 members of The Opera Society celebrated our annual Mad Hatter’s Luncheon organized by Chairmen Ruth Molina, Barbara Parent and Linda Balent at the Riverside Hotel. Guests were greeted by a beautiful display of evening handbags and hats for sale as they sipped champagne and sampled delicious hors d’ouerves. Evening bags were displayed by Jane and Melissa of Discount Designer Handbags and Noorina Mirza displayed the beautiful hats which are her creations!! Many ladies bought lovely hats and purses! Noorina generously donated a portion of sales back to the Opera Society as did Jane and Melissa. As our delicious dessert began, Dr. Gloria Kline began our hat competition inspired by the up-coming Royal Wedding. Winners were chosen by our judge Jane Hilsenroth. Anna Rua won the Grand Prize basket!! Enjoy the lovely pictures of the day! !